George Woo, FAIA, protégé of I.M. 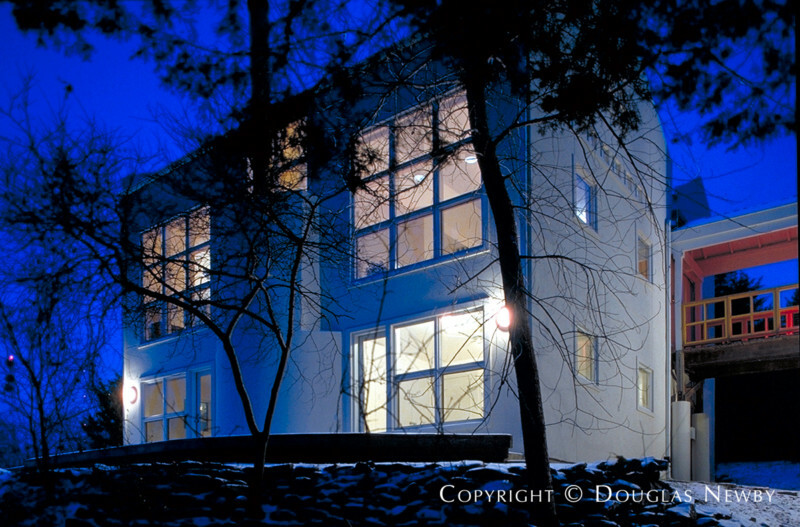 Pei, selected this three acre site 19 miles south of Dallas to design this postmodern home. With 3,012 square feet, it is sited on the side of a hill to allow a view over the cedar trees to Joe Pool Lake seven miles away. Cedar Hill, Texas inside Outside of Dallas. Click on the map and discover each home as you explore this neighborhood.